Last year, T-mobile introduced a Wi-Fi calling UMA service called @Home, a mobile handset-based service. The idea was that you would use your mobile handset exclusively as a replacement for a standard home phone. The selling proposition of this service was basically (1) no in-home GSM coverage problems (because calls use wi-fi/broadband in the home), and (2) “unlimited” (domestic) calls from at home or at wi-fi hotspots. T-mobile is now introducing a variant of that @Home play called Talk Forever Home Phone. It is an add-on service for T-mobile wireless customers that essentially provides a Vonage-style replacement home phone service. You get an ATA/router with a standard RJ-11 phone jack output to connect to a standard touchtone home phone. The Talk Forever service is available as an add-on to an existing T-mobile plan and cannot be purchased separately. It is priced at $10 per month. This should put significant downward pressure on Vonage and AT&T CallVantage. But before you get too excited, note that this comes with the usual cell phone fine print and red tape – specifically there is a two-year agreement required and a $200 early cancellation fee! It also has unspecified taxes and fees. With the advertised $10/month price point, one has to wonder if it might also impact Cable VOIP which has seen strong growth at a $40/month price point. 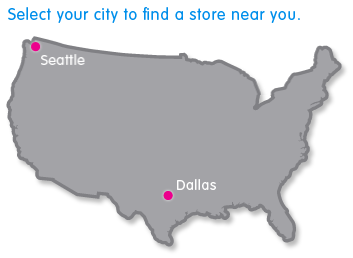 At the moment the service is only available in Seattle and Dallas. One thing not talked about with this service is international calling rates – if they are the same as normal T-mobile mobile prices, then this service will not be a competitive threat to other VOIP services in that regard. missed calls because the cell phone was on silent or vibrate somewhere. T-mobile has no wireline assets in the US, so clearly this is a way to attack Verizon and AT&T for the household user experience. It will be interesting to see if any other pure-play wireless carriers make similar moves.